Almost every student in India goes through several stages emotionally and physically both in the professional as well as personal life. As the students come to terms with this increasingly open world, MBA is a choice offered to them, that is both steady and stable. An MBA does not seem to offer the thrill offered by any of the art. After all, what would former (more often than not, in our society) engineers, accountants, etc. be able to decipher about arts? After almost, 8 months into SP Jain Institute of Management and Research, I can stand by the fact that nothing could be further from the truth. For any management graduate, the first week of MBA is like a wrecking ball, breaking down each wonderfully built castle about the B-School Life and the corporate world. Assignments and quizzes become a routine, deadlines loom like an ever-present sword on our heads, pre-placement talks, meeting and the countless Whatsapp group formations, taking responsibility of your failures in a nutshell, resulting in an ultimate chaos. With every passing day, each of the above things has become a routine and we realize each one of the above activities push us towards delivering our best. So what is it that makes us MBA graduates, better managers? Confused how MBA is an ART? Read on…. Having completed my engineering, I decided to move on to a job in Sales and Marketing which ended up being my MBA Specialization, I had faith in my versatility. However, what I believed was not true. There is a lot that is expected of a manager and a good manager is one who not just understands his functions but that of others as well. B-School life gave me an opportunity to explore unexplored territories which I would generally have not ventured into. Thus we come to the first art – the art of developing the eagerness to learn and know more. The second art is the one that deals with the temptation of comfort. After the hectic first few weeks, it is highly possible for one to fall into the trap of relaxing and sleeping in the hostel. While it does take a while to give up on the inertia of comfort, taking part in a wide variety of activities is in itself beneficial as it teaches you to expect the unexpected. Each and every moment in college is grooming us towards becoming a successful manager. Life has come to a stage in which comfort has become a desirable enemy and challenges the daily routine mess food. The third art would be the art of communication. As future managers, we learn the art of substantiation and the importance of coherence and structure. And the most important of them all, the art of making PPTs. This just like any art form has to be developed with continuous practice. The final and the most important one would be the art of belief. There are multiple challenges that we encounter and we need to face them with a confidence never like before. We need to believe in ourselves and realize we are not alone in this journey. These challenges might be in the form of projects, case study competitions or even instances in our day today. The belief in ourselves and the confidence with which we face the various problem will definitely help us in becoming better managers of tomorrow. 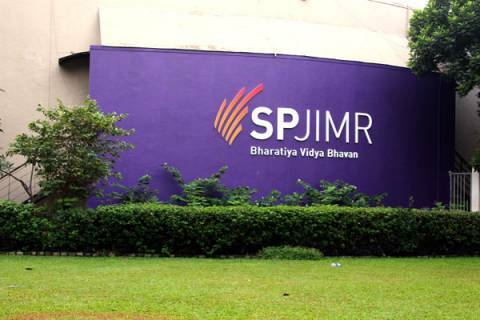 The past 5 months at SPJIMR, has made me realise that MBA is an art, a one that needs skill and commitment in as many levels as the ability to deal with a crisis and think on the feet.